In a cold weather survival situation, if you sweat, you die. That's what my friend Les Stroud always says, anyway. This applies to any cold weather outdoor activity, and it is, without a doubt, also true when riding a motorcycle. If your hands are wet and cold while riding your bike, you could potentially get distracted and lose focus on the road. Gear up properly, and avoid a survival situation. This winter season REV'IT! 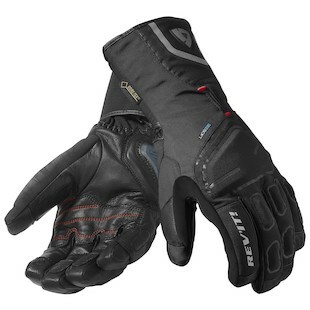 will be adding two cold weather gloves to their arsenal: the REV'IT! Cyber GTX Gloves and the REV'IT! Kryptonite GTX Gloves. The Gore Tex membrane will keep your hands dry and protected from the wind, and the Tri-Fleece lining actively wicks (‘pulls’) sweat away from your hands and ‘pushes’ it to the outer layer of the glove. The Cyber is the more technical of the two with a thick Primaloft fur liner and a full gauntlet, while the REV'IT! Kryptonite GTX Gloves appear to be the colder-weather, roid-raged version of the Carver- one of the gloves that forms part of the city-fit grouping. 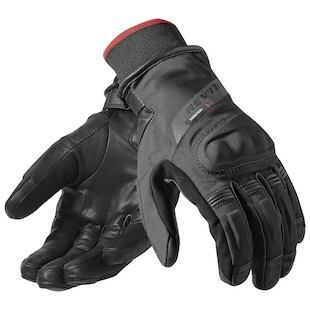 Both include goatskin throughout the palm for abrasion resistance and impact protection on the knuckles and palm. Whether you are looking for one of our premium offerings in a 3/4 cuff option or a full gauntlet, REV'IT! helps you survive this winter season.